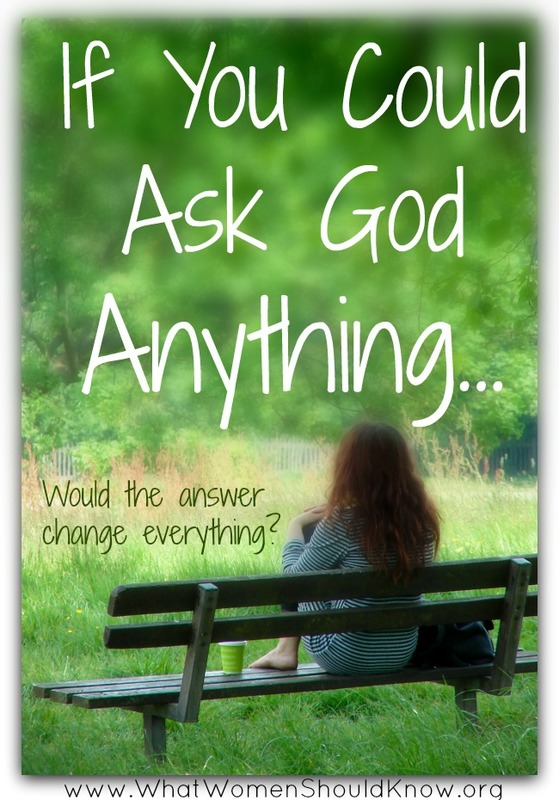 If you could ask God anything — anything at all — what would it be? If you knew He would answer, tell you anything you wanted to know, what would you ask? I can think of all kinds of questions — fun questions and frivolous questions, curious questions — “just because I’d like to know.” But I probably wouldn’t ask any of those, at least not this side of eternity. They can wait. The questions that I really want answers to are a lot more serious, more personal, more pressing. Where is my life going? Which way should I take? What should I do? What is Your plan or purpose for me, for my friends and family, our church, our community, our country? This situation or circumstance? What’s going to happen in the future? How is this all going to work out? Why did You do ______? Why didn’t You _______? Why do You _______? Why don’t You ________ Why won’t You ______? Where WERE You? Where ARE You? 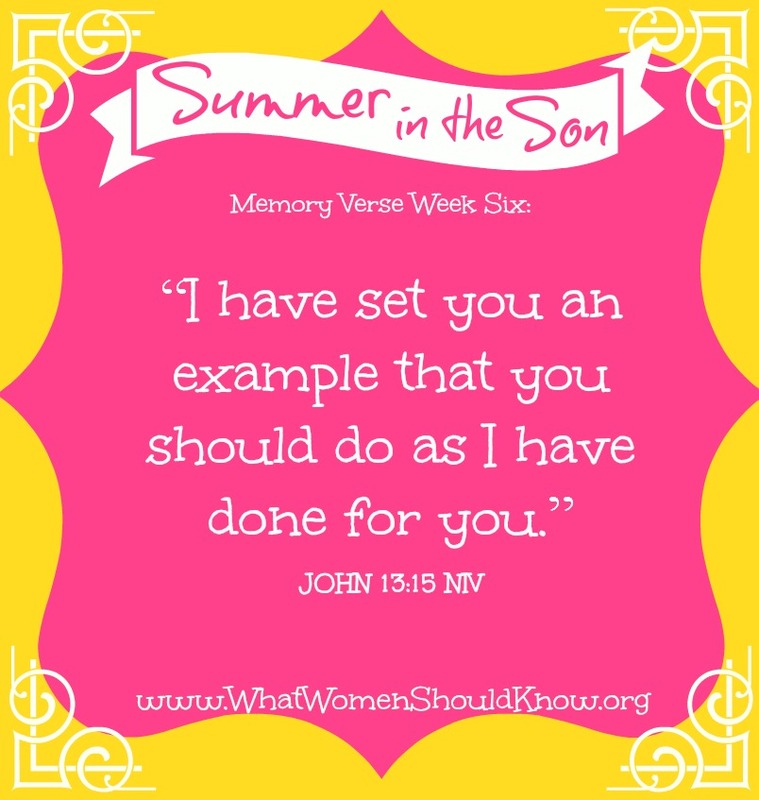 So many times, Jesus told them directly who He was (not just in parables or with metaphors). So many times, He told them EXACTLY, in no uncertain terms, what was going to happen to Him — like His death on the cross, His resurrection. And they didn’t get it. They didn’t understand. I have to wonder. What makes me think that if He answered all my questions today — if He told me everything I wanted to know — I would do better than the original Disciples? They lived with Him day in and day out for three years. Face to face. They saw Him with their own eyes. They heard Him with their own ears. No guessing whether or not that was His voice! But somehow they couldn’t wrap their heads around what He was telling them. They had their own preconceived ideas, their own limited perspectives, their own thoughts and feelings that prevented them from seeing and hearing Him clearly. The truth is that sometimes we aren’t really hearing. We aren’t really listening. Because we don’t want an answer. We don’t care what the answer is. We’re not asking — we’re protesting, registering our objections or our complaints. Even when we are earnestly, truly, desperately seeking Him, His answers can be hard to come by and hard to grasp. Not that we don’t ever get them. Very often we do. God — in His mercy — does reveal things to us all the time. He promises to give us wisdom whenever we ask for it. (James 1:5) His Spirit constantly guides us and leads us. Daily He teaches us to know Him and trust Him. But especially when it comes to those “Why?” questions… I’m not sure there’s any answer that we could fully appreciate, any answer we could completely comprehend. Any answer that (again, this side of eternity) would bring us any real closure or comfort. Despite how we feel about it right now, the answer might NOT change everything. It might not change ANYTHING. It’s not wrong to ask questions. All through the Scriptures He tells us to ask. We can learn a lot about Him and about ourselves just by asking. Being honest about what we think and how we feel. He is God. And we are not. The day may come when we do get answers — when we do understand. Jesus has promised us something far better than the answers we seek. 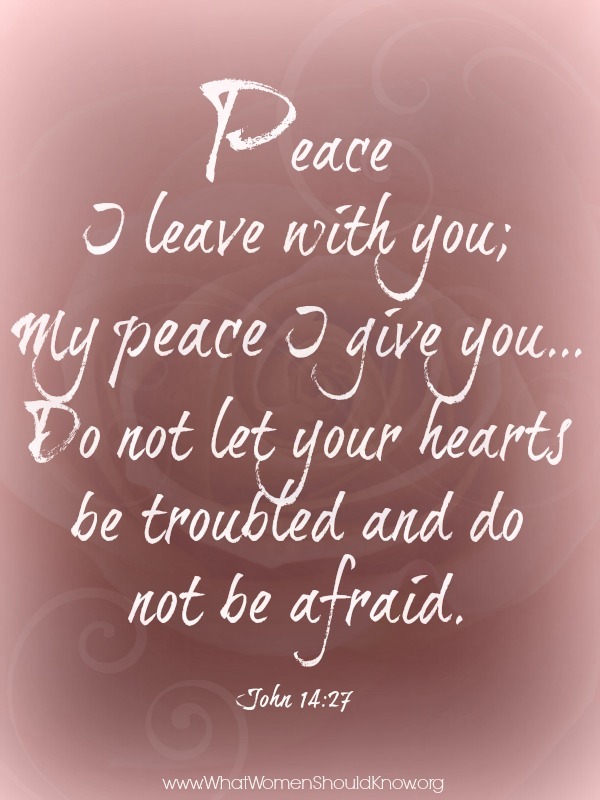 He has promised us peace. His peace. Perfect peace. He is all the answer we need. Today’s question: What does the peace Jesus promised look like or feel like to you? How would you describe it to someone who hasn’t experienced it?